The opportunities for you to connect with your target audience on social media are endless, especially when it comes to Facebook and Instagram. From the powerful advertising options to the community-focused atmosphere, Facebook and Instagram have many beneficial tools available. Also, a solid social media presence helps you engage potential customers and grow your business. Awesome, right? There is a tricky part, however. 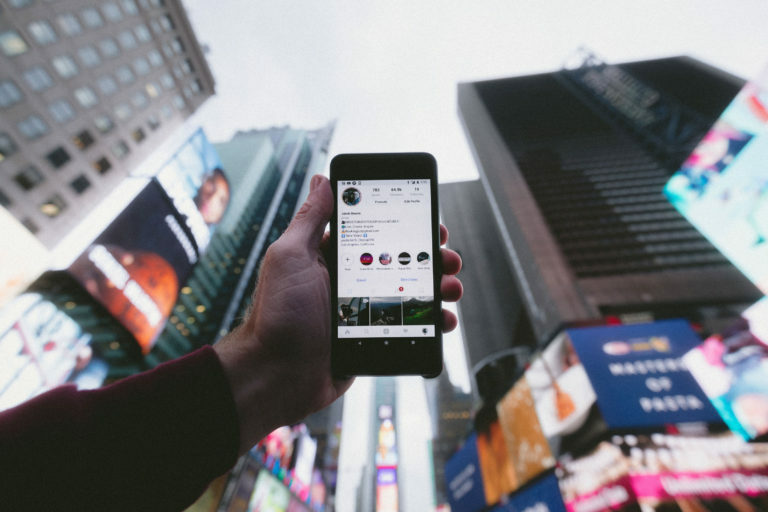 With the significant Facebook and Instagram algorithm changes in 2018 and the steady decline in organic reach on both platforms, brands that want to stay ahead should consider advertising. The awesome advertising options listed below don’t even require an Ads Manager account! They can all be set up straight from your Facebook page and Instagram profile. 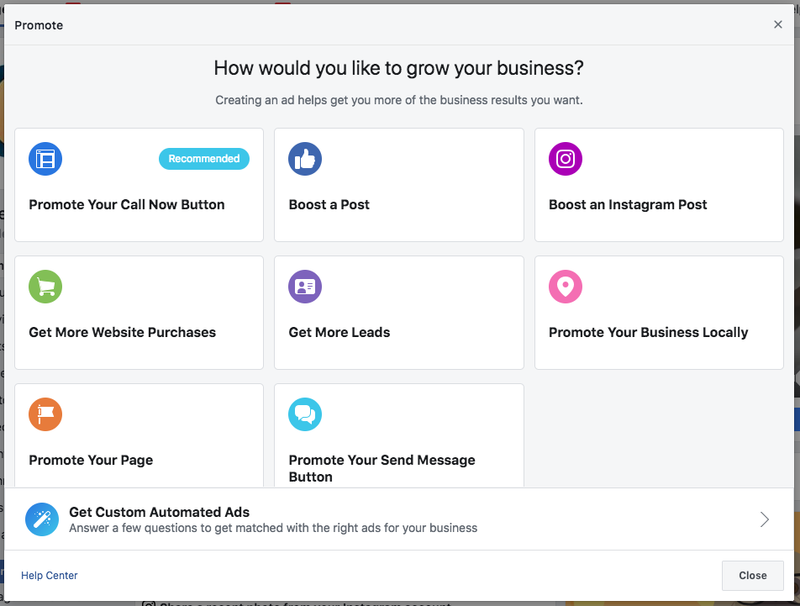 So, without further ado, here are six ways to use Facebook and Instagram advertising to boost your business. When you visit your Facebook page, have you ever noticed the blue Promote button in the bottom lefthand corner? That little button opens up a plethora of advertising resources for your business. Here, you can choose the advertising objective that best suits your needs. We’ll go through some of the most important to your business below. Want more followers? Well, of course you do. 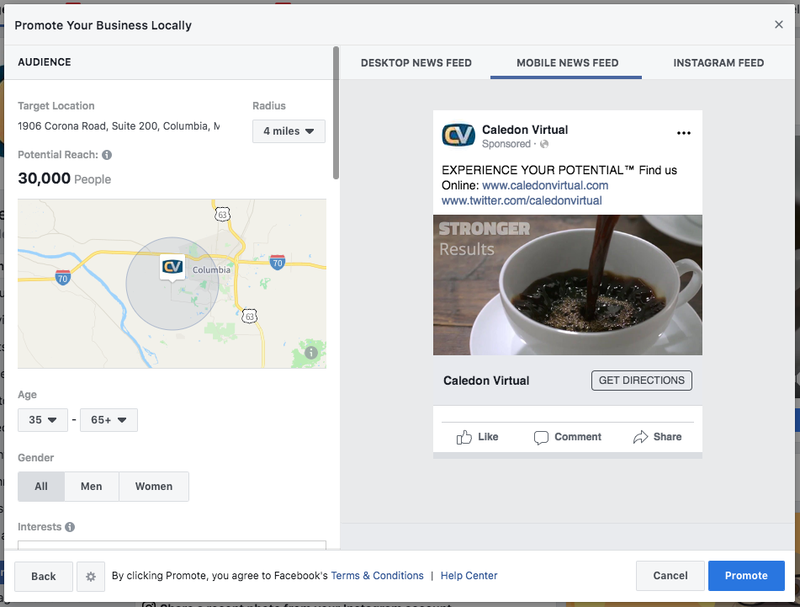 With this objective, your ad will show to an audience of your choice and is optimized for “page likes,” meaning your ad encourages people to Like your Facebook page. This ad will show on people’s timelines and right column space on desktops, as well as on their mobile phones. If you want to increase engagement (interactions with your content, such as a Like, a comment or a share) and reach (the number of people who see your post), boosting a post on your page is a handy objective for that. It’s estimated that your followers see only one percent of your posts organically. That’s shockingly low, but the way to combat it is through boosting. 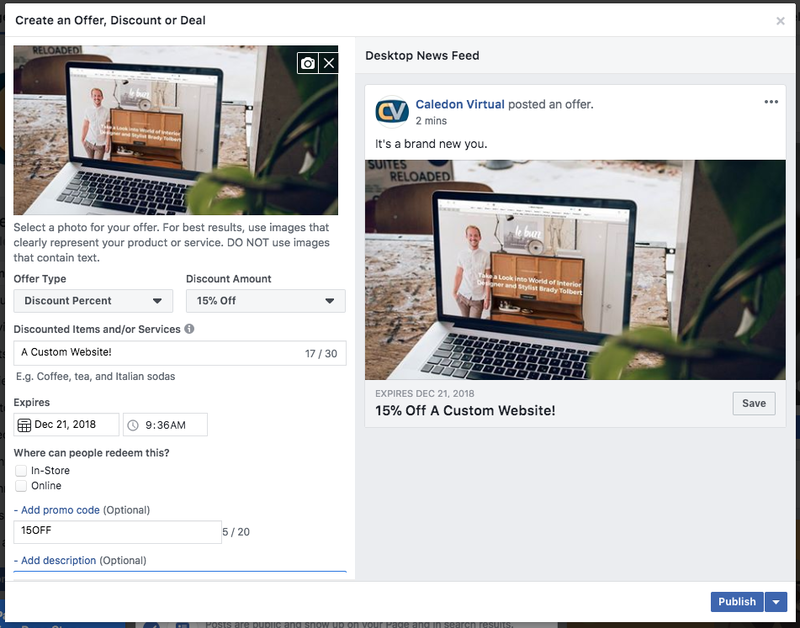 This ad will show not only on desktop AND mobile, but it will also show on Instagram, Instagram Stories and Facebook Messenger. If you’re looking to raise awareness about your physical location, this promotion is perfect for you. You can draw a radius around your location and target people in that area who fit your target demographic. You can also add a button that encourages people to get directions, so they can navigate right to your business. Okay, so it’s not necessarily part of the advertising options listed above, but it’s great if you have a product or service you want to promote. An offer is a tangible way of seeing who interacts with your brand on social media. For example, create an offer for 15 percent off a single product or service. Then, when people redeem the promotion, you’ll see exactly how many people your offer brought in. Pretty cool, indeed. Once the promotion is created, it can be boosted to reach more of your target audience. Make sure your ad copy isn’t too long so it doesn’t “cut off” on any of the placements. Choose a picture that accurately represents your brand. Don’t choose an image that has more than 20 percent of text on it. This goes against Facebook’s advertising policy. Add psychographic information to your target audience to entice those who like things similar to your products or services. Don’t target an area where your product isn’t sold, or your service isn’t available. Run your campaign for at least a week to ensure the ad has time to reach the majority of your audience. Don’t forget to check on your ads! You can manage your promotions and see performance by clicking Manage Promotions under the blue Promote button on the left side of your page. 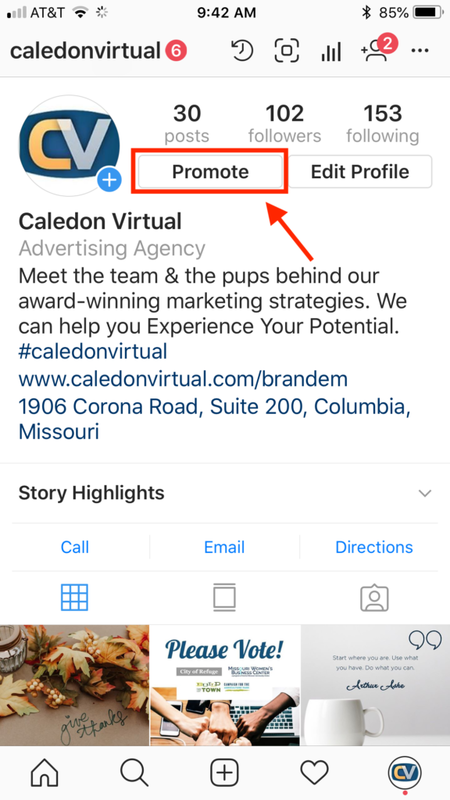 While you can create ads for Instagram within Facebook Ads Manager and run ads through Instagram when you boost a post on Facebook, it’s also possible to run Instagram promotions straight from the app. To start, go to your Instagram profile and hit the Promote button. You’ll be prompted to create a promotion and choose an objective. Much like Facebook, boosting a post on Instagram will increase reach and engagement. However, there are other objectives within boosted posts that can drive people to your profile or even to certain pages on your website. Once you select the post you would like to boost, you can then decide on your objective, listed below. 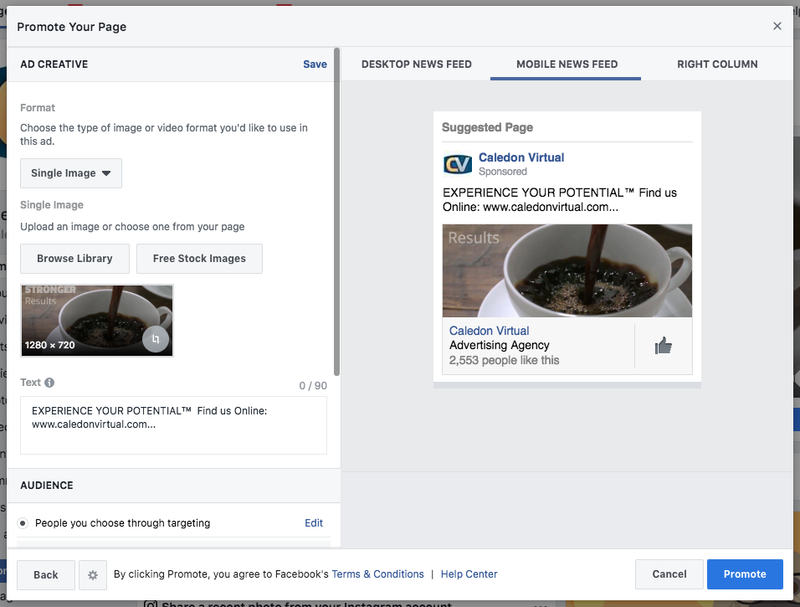 Once you choose, you can set up your audience, budget, and duration of the campaign just like on Facebook! That’s it! Once you’ve finished these steps, you’re ready to rock and roll. Boosted posts will only show on people’s Instagram Feeds and Instagram Stories. If you are use Instagram Stories (and if you aren’t, you should be), you can promote these Stories much like a boosted post. There are now more than 400 million daily users on Instagram Stories alone! That’s a lot of people waiting to hear from you. Once you’ve uploaded an Instagram Story, hit the three dots in the right-hand corner and select Promote. Then, choose to send people to your profile, your website or a direct message. 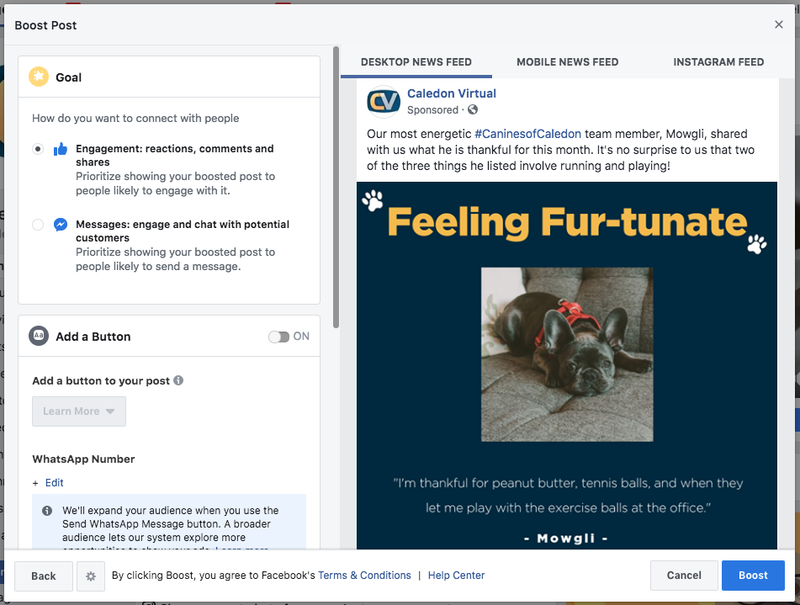 You’ll be able to choose a target audience, budget, and duration of the campaign, just as you would for a boosted post. This type of promotion will only show up on people’s Instagram Stories. Choose a high-quality picture that accurately represents your brand and is the proper size for Instagram Feed and Stories promotions. Run your campaign for at least a week to ensure that the ad has time to reach the majority of your audience. Don’t forget to check on your ads! You can manage your promotions under the Insights tab in your Instagram profile. If you would like help running promotions on Facebook and Instagram, trust the experts in small business marketing. 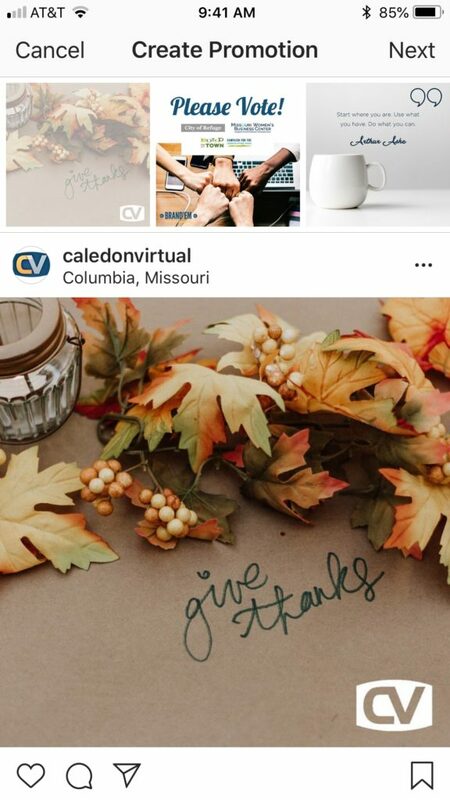 Grab coffee with the team at Caledon Virtual today.